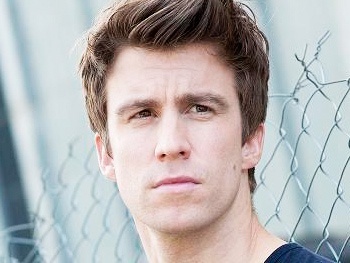 Tony nominee Gavin Creel has won the 2014 Best Actor in a Musical Award at London’s Oliver Awards for his role of Elder Price in the West End production of The Book of Mormon. The category contained two other Broadway favorites, Creel’s Mormon co-star Jared Gertner and Kyle Scatliffe, who had been nominated for The Scottsboro Boys. The Book Of Mormon dominated the musical categories winning four awards including Best New Musical. Creel earned a Tony nomination for Hair, and also appeared in the show's West End run. His other Broadway credits include Mary Poppins (in which he also appeared in the West End production), Thoroughly Modern Millie and La Cage aux Folles. He headlined the U.S. national Mormon tour. Written by South Park creators Trey Parker and Matt Stone and Avenue Q composer Robert Lopez, The Book of Mormon continues to sell-out at Broadway's Eugene O'Neil Theatre. The show earned nine 2011 Tony Awards including Best Musical.